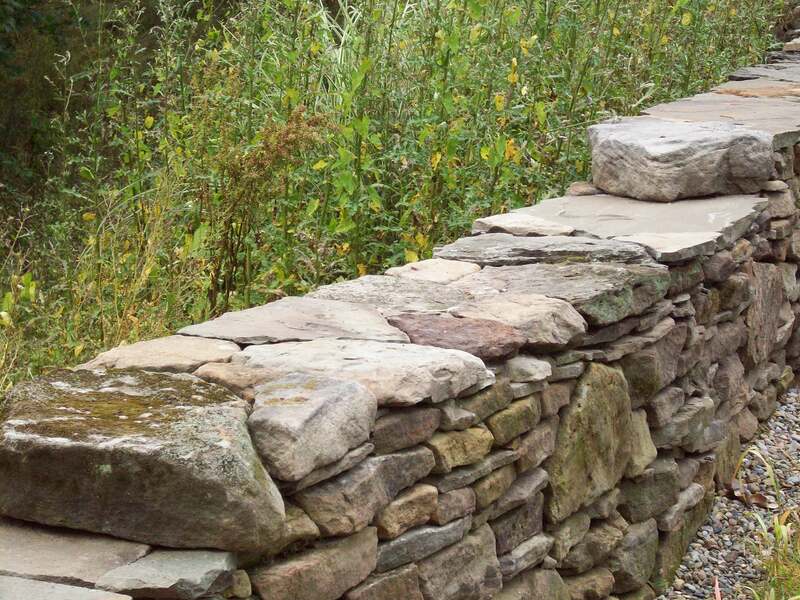 Detail: Dry-Stack Stone | Yoder Masonry, Inc. Detail of Dry-stack stone retaining wall in Green, Ohio. Materials: Ohio top rock and Pennsylvania blue. ← Dry-stack Stone Retaining Wall. Yoder Masonry, Inc. provides quality masonry services to the residential, commercial, and industrial markets in Northeastern Ohio. Our projects incorporate brick, block, stone, and re-purposed materials. We are a certified Rumford Fireplace contractor, and take on restoration, preservation, and repair work. Our specialties are designing and building artisan fireplaces, chimneys, and outdoor living spaces. The Yoder family has excelled at masonry construction for generations. Our branch has been in business since 1989.